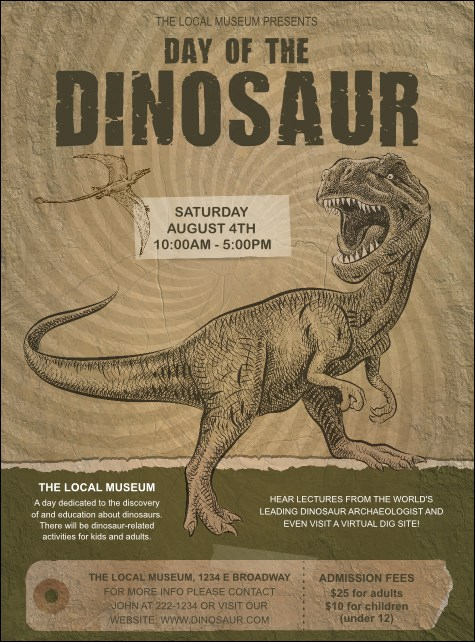 Attack your event promotions and distribute the Dinosaur Illustrated Flyer before your next scientific get together. A pterodactyl flies under the event name on this earth-toned design, with a big Tyrannosaurus Rex in the center. Enter your details in the easy template below for fast service!